Work and play from just about anywhere. Ultra-fast Gigabit-class 4G LTE2 gives you the best PC experience, no matter where life takes you. Masterful craftsmanship meets bold new design with incredible 4G LTE2 connectivity. 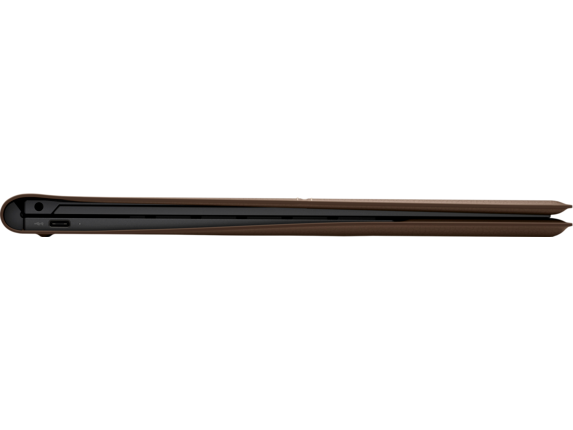 Crafted from 100% genuine leather,1 this groundbreaking device pushes every boundary. Move fluently between laptop, forward, and tablet positions. 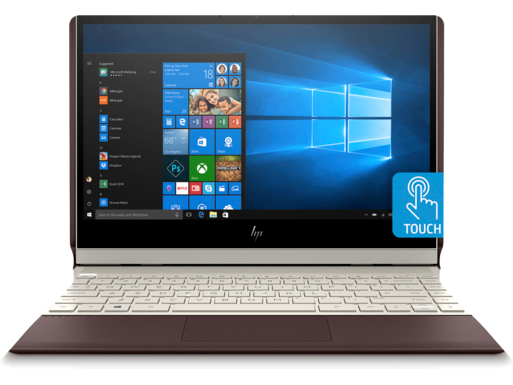 This unique and durable convertible PC adjusts easily and is specially designed for users on-the-go. Work on the go with Laptop position. With Forward position, entertainment goes with you. Capture ideas quickly in Tablet position. LONGER BATTERY LIFE, MORE PRODUCTIVITY. 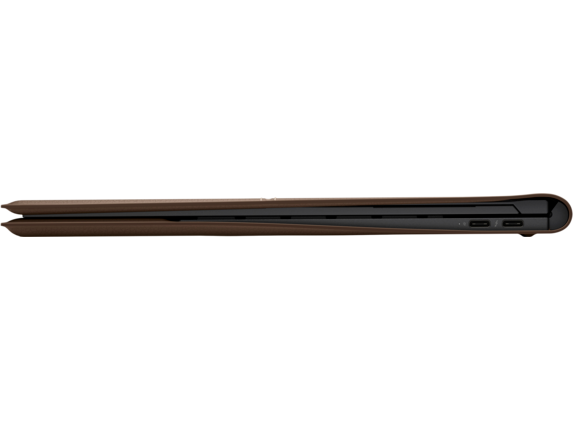 Go the distance with exceptional battery life of up to 18 hours4 and Intel® Core™ processors. 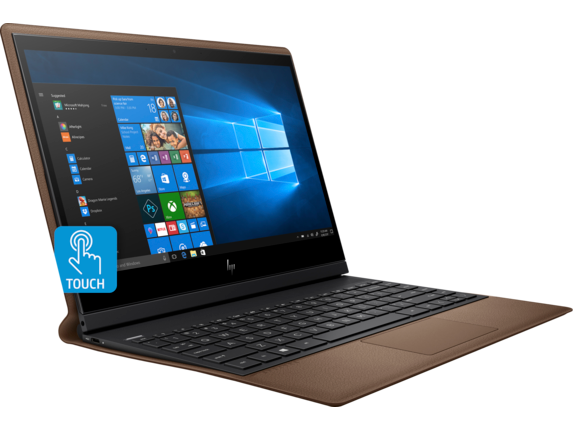 With up to 18 hours of battery life, the HP Spectre Folio is always at the ready — letting you stay productive all day. Keep going even in dimly lit rooms or aboard red-eye flights with a full-size, illuminated keyboard. 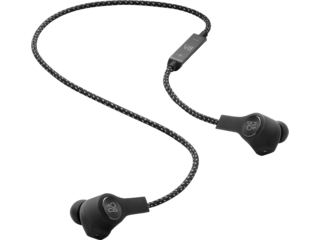 Experience exceptionally rich audio with HP quad speakers, HP Audio Boost, and expert tuning. 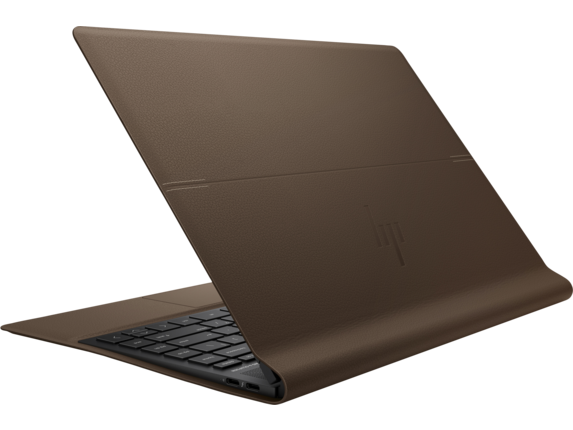 Product exterior and outer keyboard is 100% genuine full grain leather as of 9/18/18. Gigabit class 4G LTE module is optional and must be configured at the factory. The full utilization of this module's functionality is dependent on network provider's technical ability to support this network and speed. Backwards compatible to 3G networks. Module requires activation and separately purchased service contract. Check with service provider for coverage and availability in your area. Connection, upload and download speeds will vary due to network, location, environment, network conditions, and other factors. 4G LTE not available on all products, in all regions. 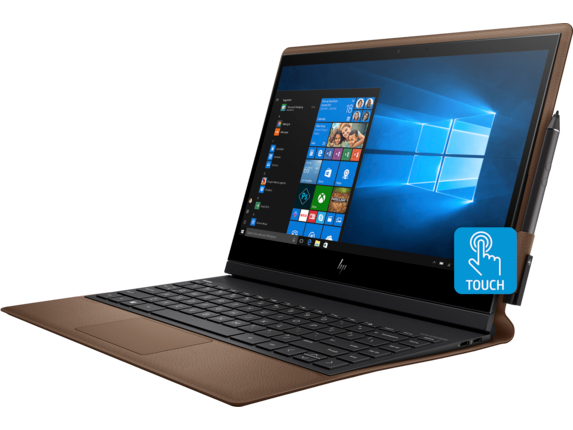 HP Spectre Folio can connect to ATT, T-Mobile, and Sprint is coming soon. Verizon not available. Module designed for up to 1 Gbps download speeds as carriers deploy 5 carrier aggregation and 100Mhz channel bandwidth, requires activation and separately purchased service contract. Check with service provider for coverage and availability in your area. Connection speeds will vary due to location, environment, network conditions, and other factors. 4G LTE not available in all regions. 4K panel not available at launch. 4K content required to view full 4K images. 4K optional on select models only. 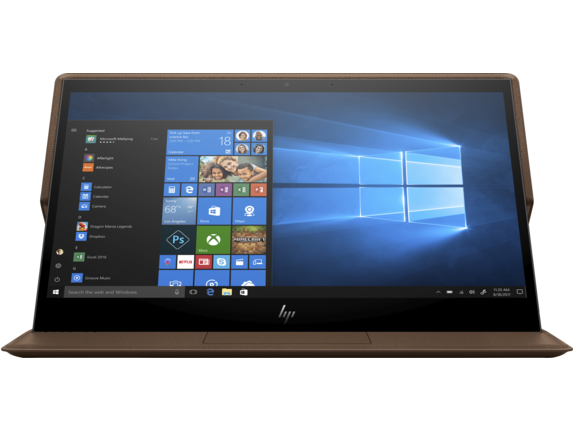 Windows 10/ MM14 battery life will vary depending on various factors including product model, configuration, loaded applications, features, use, wireless functionality, and power management settings. The maximum capacity of the battery will naturally decrease with time and usage. See www.bapco.com for additional details. The battery capacity decreases to less than 100 percent when the computer operates under high temperatures for an extended period of time. Included Digital Pen will vary by region and retailer. 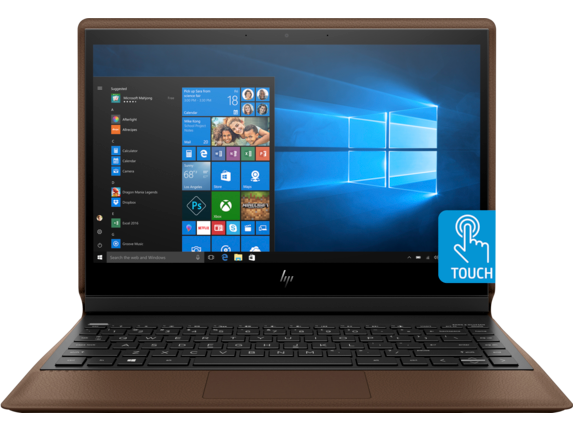 1 Product exterior and outer keyboard is 100% genuine full grain leather as of 9/18/18 2 Windows 10/ MM14 battery life will vary depending on various factors including product model, configuration, loaded applications, features, use, wireless functionality, and power management settings. The maximum capacity of the battery will naturally decrease with time and usage. See www.bapco.com for additional details. The battery capacity decreases to less than 100 percent when the computer operates under high temperatures for an extended period of time. 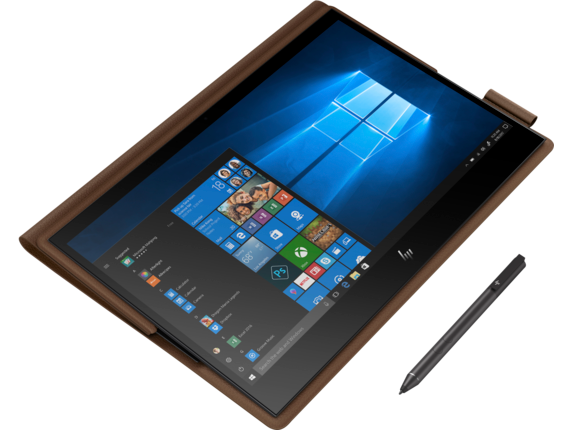 3 HP Spectre Folio can connect to ATT, T-Mobile, and Sprint is coming soon. Verizon not available. Module designed for up to 1 Gbps download speeds as carriers deploy 5 carrier aggregation and 100Mhz channel bandwidth, requires activation and separately purchased service contract. Check with service provider for coverage and availability in your area. Connection speeds will vary due to location, environment, network conditions, and other factors. 4G LTE not available in all regions. Free Sprint Sim Card Included! 10 USB Type-C™ and USB-C™ are trademarks of USB Implementers Forum. 15 Actual formatted capacity is less. Portion of internal storage is reserved for preloaded content. 16 Based on HP internal testing using CrystalDiskMark benchmarking software. Performance is sequentially faster (read only) compared to traditional 5,400 rpm HDD. Click here to see HP Spectre Folio - 13-ak0015nr details. 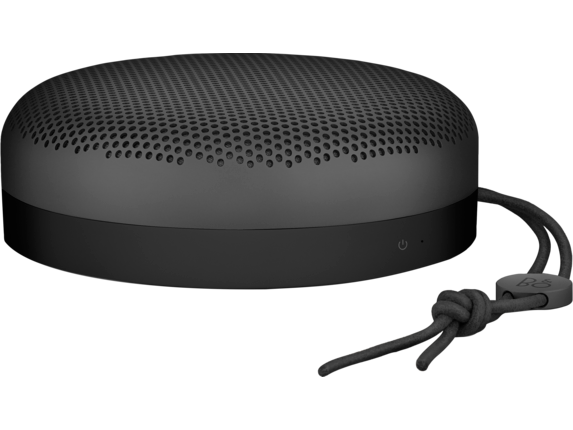 Click here to see Beoplay A1 Bluetooth® Speaker details.